SF Dine About Town Dining Rewards Points Giveaway Continues: Enter Now! 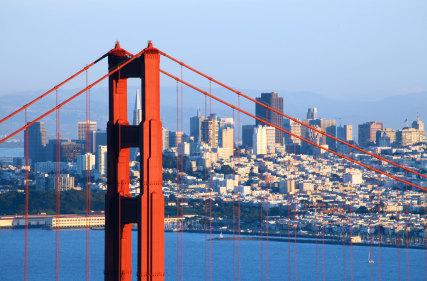 What San Francisco restaurants are you going to dine at? Tell us on Facebook! It’s the 10th anniversary of San Francisco’s successful Dine About Town, which kicks off on January 15th! To celebrate this momentous and delicious occasion, we’re giving away 1,000 Dining Rewards Points each day on Facebook. To enter, Like our OpenTable page on Facebook and, after you make your reservation, write on our wall, “I just booked a table at (insert resto name) for the 10th Annual SF Dine About Town on OpenTable!” Over the next 10 business days, at the end of each day, we’ll award one diner 1,000 Dining Rewards Points. You can read more about the rules below. But, first, we talked with Lynn Bruni, one of the organizers of SF Dine About Town, to find out more about this much-anticipated event. Congratulations, Lynn! Dine About Town is in its tenth tasty year. Can you tell us a little about the genesis of this event? Dine About Town was developed by the San Francisco Travel Association (formerly the San Francisco Convention & Visitors Bureau) in January 2002 to encourage more people to dine out and boost restaurant revenue after the tragedy of 9/11. The program was designed to provide locals and visitors with the opportunity to experience delicious cuisine from San Francisco’s top restaurants at an affordable price. The promotion has been highly successful since its inception, and in 2010, Open Table reported that more than $1.5 million in incremental restaurant revenue was generated through reservations booked on the online reservation systems. This does not include walk-ins or phone reservations, which we estimate brings that number closer to $3 million. Restaurants that have participated since the first Dine About Town promotion in 2002 include Ana Mandara, AsiaSF, B44, Cosmopolitan, E&O Trading Company, Fringale, Grand Café, Hornblower, Le Colonial, One Market, Scoma’s, and Silks. How has the event — and San Francisco’s food scene — evolved over the years? Originally, the event took place only once a year throughout the entire month of January. In 2006, based on demand and feedback from diners and restaurants, we changed the January event to a two-week period from the 15th to the 31st, and added a summer promotion which takes place every June 1–15. Additionally, in 2010 we moved from a 3-course to a 2-course lunch to encourage diners to participate more during the lunch period when three courses may seem too many. San Francisco’s food scene is ever-evolving. Recently, there’s a proliferation of chef tables and communal tables, as well as late-night dining. The communal table concept has been around for centuries – strangers gather around a communal table to break bread and boundaries together. The age-old concept of sharing a table among strangers is suddenly hip again. Now many San Francisco restaurants are incorporating communal tables into their dining rooms. What’s unique about San Francisco’s food culture? San Francisco mixologists now play a part in menu creation to insure the ingredients in the cocktails pair well with those found on the chef’s menu. Food and wine pairing has been common for years but cocktails were usually a “before dinner” libation choice. Now, many diners choose cocktails over wine and the chef and mixologist must work together to make sure the pairings complement one another. A cocktail is just a cocktail unless it’s in the hands of creative mixologists who use spirits, fruit, herbs, and sugar as pure alchemy. The refreshing results have made many mixologists celebrities in San Francisco, many whom have their own following. Some of San Francisco’s celebrated mixologists include Carlos Yturria (Absinthe Brasserie and Bar), Lisel Brunson (Amber India), Johnny Raglin (Dosa on Fillmore), Bryan Ranere (Foreign Cinema), Michelle Fawcett (Kuleto’s), and Brandon Clements (Spruce). Are San Francisco’s diners and foodies ahead of the curve in any way? Carnivores are back in fashion and meat has never been more popular. San Francisco butchers pay close attention to how humanely the animals are treated and this focus has led to specialization in cured meats in restaurants, especially salumi. At the Ferry Building, the culinary Mecca in San Francisco, Boccalone (Embarcadero) has opened a shop specializing in salumi, with attention to using all the parts of the animal. Its mortadela is an airy blend of pork, pine nuts, chili and cinnamon (although the exact recipe is a family secret). Other San Francisco restaurants making salumi include A16, Bar Bambino, Franciscan Crab, Perbacco, Zuni, and Zuppa. Many restaurants and hotels, such as Epic Roasthouse, Spruce, and the Mandarin Oriental, are producing and bottling their own private labels, to reinforce branding and help develop partnerships with the nearby wine regions. Do you have any restaurants that are new to the event this year? New restaurants to participate in the January 2011 promotion include Comstock Saloon, Ducca, Georges Restaurant, Hana Zen Sushi & Yakitori Bar, Kuleto’s, La Terrasse, Marlowe, Mayes, Moussy’s, Skool, Sociale, and Velvet Room (Clift Hotel). Do you have any tips for diners? We definitely encourage diners to make their reservations early, as tables tend to book up quickly. And, dine often — if you’re an American Express Cardmember, you can dine 3x and get 3x rewards points with a registered Card. But, finally, don’t miss the celebration for the 10th year at our Launch Event on January 12 at City View at Metreon. Over 20 restaurants and wineries will be serving delicious tastes, and 100% of the proceeds benefit Meals on Wheels. Plus, guests can enter to win the ultimate foodie roadtrip in Acura’s Eat Your Way from SF2LA sweepstakes. Purchase tickets for this not-to-be-missed foodie event! Thanks, Lynn. Diners, remember to book your San Francisco Dine About Town reservations now — and post, “I just booked a table at (insert resto name) for the 10th Annual Dine About Town on OpenTable!” on our Facebook Wall to enter to win 1,000 Dining Reward Points. Click “Read the rest of this entry” below for complete rules and regulations. 1. Introduction: OpenTable, Inc. is offering the San Francisco Dine About Town Facebook Giveaway (“Giveaway”). NO PURCHASE NECESSARY. A PURCHASE DOES NOT IMPROVE YOUR CHANCE OF WINNING. VOID WHERE PROHIBITED. 2. Eligibility: The Giveaway is open to U.S. residents twenty-one (21) years of age or older at the time of entry. Employees of OpenTable, Inc., and their immediate family members and/or those living in the same household of such persons, are not eligible to enter the Giveaway. Entrants must have a Facebook account and “Like” OpenTable on Facebook. 3. Giveaway Period: The Giveaway begins at 10:00 a.m. Pacific Standard Time (“PST”) on Monday, January 3, 2011, and ends at 5:00 p.m. PST on Friday, January 14, 2011, excluding weekends. The Giveaway is only valid on weekdays, the dates of January 5-6 and 12-13 are not included in the Giveaway Period. 4. How to Enter: During the Giveaway Period Like the OpenTable page on Facebook and, after you make your Dine About Town SF reservation, write on OpenTable’s Facebook wall “I just booked a table at (insert resto name) for the 10th Annual Dine About Town on OpenTable!” Limit one (1) submission per person per day. 5. Winning: At the close of each business day during the Giveaway Period, one (1) winner will be randomly selected from among all eligible entries received. OpenTable’s decision is final and binding in all matters relating to the Giveaway. Odds of winning depend on the number of eligible entries received per business day in the Giveaway Period. Potential winners will be notified by a Facebook message to their Facebook inbox via the Facebook account which submitted the entry, and OpenTable will request your name, phone number and email. If there is a dispute as to who is the potential winner, OpenTable will consider the potential winner to be the authorized account holder of the Facebook account used to enter the Giveaway. If a potential winner is unreachable, OpenTable may award the Prize to an alternate entrant. 6. Prize: Ten (10) winners will receive 1,000 OpenTable Dining Rewards Points, good toward an OpenTable Dining Cheque, which may be used at any U.S. restaurant on the OpenTable network. You must be a registered OpenTable user to claim your prize. OpenTable will not be responsible for any loss, liability or damage arising out of the winner’s acceptance or use of the prize. Prizes are not transferable. No cash or substitutions of prizes may be made. 7. Conditions: OpenTable is not responsible for lost, late, or unintelligible entries, lost connections, miscommunications, failed transmissions, other technical difficulties or failures. OpenTable reserves the right to terminate or modify this Giveaway at any time in the event of any intervention with the Giveaway beyond the control of OpenTable. In such event, OpenTable reserves the right to select a winner from eligible entries received as of the termination date. Entrants agree to indemnify OpenTable and its affiliated and subsidiary companies from and against any and all claims and liabilities arising out of or in connection with this Giveaway. By entering this Giveaway you agree to the use of your name and likeness and entry for promotional purposes, without payment or compensation to you (except where prohibited by law). 8. Governing Law: This Giveaway shall be governed by and interpreted under the laws of the State of California, U.S.A. without regard to its conflicts of laws provisions. The Federal and State courts located in the county of San Francisco, California will be the exclusive venue for any disputes under this Giveaway, and all entrants hereby consent to the personal jurisdiction of those courts for such purposes. 9. Winners List: To view the winner send a self-addressed, stamped envelope by January 31, 2011, to: OpenTable, Inc., Attn: Marketing Department — OpenTable Dine About Town SF Facebook Giveaway, 799 Market Street, Suite 400, San Francisco, CA 94103. 10. Sponsor: The sponsor of this Sweepstake is OpenTable, Inc., 799 Market Street, Suite 400, San Francisco, CA 94103.